As for Dollard and electrons, it is my understanding that he doesn't go so far as to say they don't exist but that they aren't the carriers of electricity, the lines of force are. An electron moving in a wire is a by-product of the lines of force in movement. Think of an invisible man in the snow. As he walks no one can see him but can see the footprints he leaves. In this case the footprints would be the electrons and the invisible man the lines of force. Dollard uses this analogy in the SFTS lecture and so I feel that this is a good representation of how he sees it. I think Eric stated the node where to of the elemental characters meet are then recognized as electrons. It is in one of the recient videos posted by dave. Here in the 2007 S.F.T.S. 1-8 sequence. Good luck everyone. times are getting exciting with the new information, Maths, and scientific protocols that are being disseminated. Math rules. Thanks you so much Eric and Dave for helping. I hope we can support Eric in a fashion that will give him the time and ability in completing the maths he has started..!!!!!!!! According to data available on the internet, RG316 and RG316/U coaxial cables have for center conductor material "silver coated copper clad steel". Does this fact alters the intended operation of the coil? The answers to my inquiry about the star radial grounding system indicates that perhaps non of you experimenters have built one yet. But according to Eric a good ground is a must. I am willing to be the first to try but need more support. Am I to understand that I must use copper rods? Although, I have not yet revealed my real name, but it is certainly not Rockefeller. Here in Eastern Europe the price of copper is getting pretty close to the price of gold. So are there any alternatives, for instance using galvanized steel? Also I need practical answers to my question about resistance reading. Thank you. Copper is the best cost effective material. I did build a star radial ground, soil conductivity where I am is really good, however even still with a 20' dia 18 star radial the impedance varies between 300ohm into the mega ohms. short of dopping the soil or laying down a bed of bentonite it's not going to get much better. large grids work really good too, copper mesh is pricy and putting that down is esp invasive. metals oxidize and the oxidation layer will create more impedance, steels are the worst. This gets into free valance electrons and reactive oxides, stick to copper, and if you can do it hedge your bets and dope the soil with bentonite that will get you a really great ground. It is center tapped. The primary is balanced. There is no connection between the primary and the secondary. Oh and it has nothing to do with the power or energy in and of itself, and everything to do with yours and many others use of the word "MAGNIFY" to describe it. If you believe you have a valid term by all means show me ANY engineering text that uses it in ANY formula. You can multiply, divide, add and subtract etc etc but not magnify, sorry. That said again cite the engineering text that defines "Magnify" and its associated formula that you are defending here by trying to attach it to the power and energy formulas and I will concede that it is in fact a legitimate electrical term. Until then I hold that the USE OF THAT WORD "MAGNIFY" is nonsense, not the definitions for power and energy etc. "Yet, in the area of spark plugs, there has been little meaningful change in over 50 years. Electrode design and spark plug life-prolonging materials have evolved, but there’s been no increase in the actual output of the spark itself. All spark plugs for at least the last 50 years have produced less than 100 watts of peak ignition power, which was either assumed adequate or tolerated since there was no suitable alternative. Now there is an alternative that exponentially increases the peak power of the spark to ignite fuel more effectively and burn it more efficiently and completely. Pulsed power, already in use as pulse plugs for aftermarket spark plug replacements, is an enabling technology that can be used in combination with proprietary engine designs now being developed by car manufacturers. Pulsed power is the technology of energy conservation where energy is stored over a relatively long period (20 ms) of time and discharged over a relatively short period (1 ns) of time. The stored energy discharged by the pulse plug was previously wasted as heat in the current spark plug ignition system. High Power Discharge As seen below, the pulse plug discharge of over 1 megawatts completely dwarfs the discharge of an iridium-tipped spark plug producing less than 50 watts. Of note is the very large corona area completely surrounding the tip of the pulse plug, as compared to the spark plug, which has virtually none. 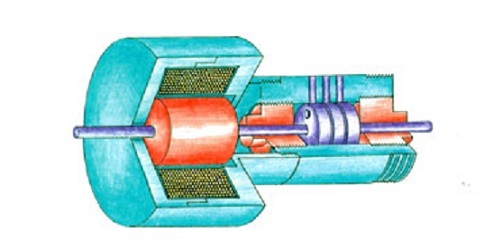 This corona contains a very dense energy field that aids in the precision of the ignition event, ensuring ignition occurs at the same position of crank angle cycle-to-cycle. It is a well accepted fact that increasing the electrical power coupled to the fuel charge increases combustion quality and efficiency. Spark plugs, both now and when they were first invented, discharge a peak power of, at most, 50 watts. Pulse plugs discharge over 1 megawatt (10X105 W) of peak ignition power without changing a single component of the ignition system found on all spark-ignited vehicles on the road today. Pulse plugs are a true drop-in, high-power replacement for spark plugs." It is possible you are right and Sandia Labs is wrong, but something tells me - NOT! I already gave you a couple examples that any elementary school kid can calculate and for your information, they are in the engineering texts. Go look up PULSED POWER. I believe nobody will argue that I gave you all the chances in the world to post your views in your own thread, which are contrary to established common sense. You refused and continue with this so don't play the "they tried to censor me" card when you're gone. If you post in this thread one more time you'll be removed and yes, feel free to "preserve" your misunderstandings of this whole concept for the world to see. I agree. If this has been reduced to argument over terminology (magnification, which refers to MAGNITUDE), things have gone to far. Flip the off switch. Now, according to my theory, a radioactive body is simply a target which is continuously bombarded by infinitesimal bullets projected from all parts of the universe, and if this, then unknown, cosmic radiation could be wholly intercepted, radioactivity would cease. I just thought of how one might be able to conduct such an experiment. Take the lowest radioactive element say Technetium (Tc) element 43 on the periodic table of elements, and then but it in a closed box composed of a much denser element such as Copernicium (Cn) element 112 and see if Tc's radioactivity is affected at all. It's interesting to note that almost all the radioactive elements (exceptions Technetium & Promethium) from 84 - 118 are the densest and also the most radioactive elements on the periodic table. Given Tesla's theory on radioactivity this makes sense that the most molecular dense elements would intercept cosmic rays the best and thus would be the root cause of their increased radioactivity! I'm also guessing its not just the sheer number of protons that lead to higher radioactivity but also their geometrical alignment in relation to one another within the molecule's core. This may explain Tc & Pm. Next thing I wonder is if these Cosmic Rays get absorbed (full energy absorption), deflected (partial kinetic energy absorption) or perhaps even bounce around for a bit inside these super dense elements before leaving and racing across the universe? To add to this there is Peter Sturrock's research which is mainstream and is showing that radioactivity is affected by the sun. This to me leads one to at least need to consider the type of theory of radioactivity that is being discussed here. Moving on with the coil arrangement..
this is the output of the field solver for the primary and secondary coil. I read two articles from borderlands about ground radio systems and I had a couple of ideas come to me. First, the idea a using an arbitrary reference as a measurement of impedance could be replaced by actual test results in received signal strength. Although still somewhat arbitrary, it is a real measure of improvement which is important because your actual performance is going to be directly affected by your geographical location more than by measured resistance. The articles, I believe confirm that hypothesis. Second, in the article "An Introduction to the Mysteries of Ground Radio" shows that surface area (not necessarily square footage) plays a huge role in a ground reception antenna. For some reason my mind jumped immediately to activated carbon which is conductive and has a HUGE surface area/volume. So my thought was to dig a trench and lay a wire (or pipe) in it, pour powdered activated carbon over that and then soak all of that in bentonite slip and then cover with earth. Test reception on tv, radio, etc.... with and without an aerial. I would try this but at the moment I am in the process of moving. I cashed in my chips and bought a place with 2.6 acres of beautiful wooded land with a spring fed creek running through it. Perfect for experiments like these, but it will have to wait for a while. chickens and garden first. I hope someone has the time and money to try this. good luck. That makes them more in "that other dimension" of quantum interconnectedness than in ours. Like I said before, spontaneous emission has a causal agent, maybe multiple agents. I'd be willing to bet when a nuclear bomb goes off...spontaneous emission rates change momentarily. Now, where did I put that suitcase? If you don't mind sharing how did you come up with the modified extra coil expressions? There should not be much left unanswered, it is all in the "Theory of Wireless Power" and "Impulses, Waves and Discharges." But all of this pre-supposes a working knowledge of radio frequency lines and antennae. Velocity depends on aspect ratio. If Secondary ratio is 18%, velocity is luminal, this only at 18%. So make the coil 20% and the velocity is a bit faster than luminal. The reason, to compensate for the slowing caused by insulation. The secondary is coupled to other coils and capacitance. This lowers the velocity greatly. Thus to compensate the coil wire is shortened by 2/pi=0.63662=63.7% to bring the frequency back up to the proper value. As for the extra coil; for a coil aspect ratio of 100% the coil effective velocity is 187% that of luminal velocity (along the coil wire). This coil is burdened down by insulation and gradient rings as well as what little coupling Exists. Thus the coil Wire is lengthened to 157% velocity factor. This is to say, rather than calculating the extra coil on a velocity of 187% that of light along the coil wire to figure the quarter wave, we now instead, in order to compensate for the burden, use a velocity of 157% that of light along the coil wire to figure quarter wave. 157% is equal to pi/2. Therefore, secondary 2/pi, extra coil pi/2. Where pi is a correction factor, not an intrinsic mathematical relation. But it may be that by using pi some "magic" resonance may take form. (Experiment and see). Also important in the use of gradient rings at coil ends. These are like capacitors and keep losses low by not stressing insulation with flux concentrations. Quarter inch copper tubing fine. It must be slotted so as not to be a shorted turn! Connect end wire of coil to ring, it is a final turn. Also, tuning a coupled extra and secondary coil is an effort for the master, not the novice thus all effort must go into the secondary coil and its primary coupled resonator, or primary coil-condenser structure. No connection must exist between coils, None! No test leads should contact coils, No Leads! Electro-static coupling or magnetic loop coupling to meters is all that is permissible. Extra coil must be as free as possible. Then it can really "take off." But tuning and loose coupling factors will be very difficult and resonance will be elusively sharp. Where it is that the teflon coating on the wire is important for gradient control on wire, any and all insulation impairs resonance. It must actually be an "air" wound coil. This cannot be overly emphisized. The only proper way is to construct a coil such: cut two circular rings out of wood/plastic sheets. Drill eight holes equidistant in these rings to press fit coil support rods (broom sticks) press together rings and rods into former, notch rods to hold coil turns in place. Nothing can be more simple than this, and the losses and burdens are greatly minimized by the construction. All wood parts must be baked dry, varnished, and re-baked. Good Rod Material is lexan, glass Epoxy, Plexiglass, and Baked wood is o.k. The skiny rod is better than a fat rod. Hollow rods even better. Notches hold wires and varnish them in place. Any old vacuum tube A.M. radio is a good thing to use here. But don't let a hot chassis kill you! Get an isolation transformer. Radio has an oscillator in it for making a test V.F.O. Also that big spider loop on back can be coupled to Tesla unit so then one can listen to radio to hear the resonant boost. A.M. car radios are electro-static so whip can be near gradient ring for pickup. (Loopsticks are magnetic). -------Not the answer I wanted to hear. But just because the data does not look right does not mean it's wrong. Im not using insulation. What does that mean for me? Yes I have noticed the effects of alagator clips, leads, and espically ground. Initial testing was with either a copper water pipe or house ground. These had the forbidden long way to ground. The most resent testing was only ~1' off the ground and soldered straight to the bottom of secondary. I am serious when I say the AV plug indicator was much brighter. Set to the lowest power level on function generator in both cases. And I was out side during the day compared to my indoor nighttime activities. This was at the resonant freq of the secondary alone. ~2000kcycles. No can, avplug in place of can, bottom, soldered to ground rod and 1 turn 1/2" strip primary. Adjusted freq for max light. Eric'd filed meter and my light indicator worked well enough to find a point. I'll continue to use both but I like the light indicator because it can be removed from the circuit and still indicate. 1/2" or so away form the coil it will light. Aluminum Salad bowl 16" ~1/3 sphere -down ~400kcycles. Last edited by jake; 04-25-2012 at 09:11 PM. Boscovich was a Tesla esteemed author and it looks its philosophy centred his life long scientific thinking. A history of the theories of aether and electricity : from the age of Descartes to the close of the nineteenth century (1910) - Whittaker, E. T.
Eric referred this old chap (sorry... Sir); it's remarkable his power to synthesise scientific ideas from long past history into "make sense" conclusions, many ignored by mainstream scientists. Last edited by barbosi; 04-26-2012 at 12:36 AM. Related to recent discussion on power amplification, I just watched a fascinating video on youtube where Walter Baumgartner & Rhetta Jacobson discuss (in part 1 only) Tesla's Tele-Geodynamic Mechanical Oscillator. Based on a letter recently discovered (circa-1980's) written by Tesla to the Board of Directors of Westinghouse in 1936, Baumgartner reverse engineered and replicated Tesla's mechanical oscillator! "one of the subjects, which he hoped, he said, will come to be recognized as his "greatest achievement in the field of engineering," was, he said, the perfection by him of "an apparatus by which mechanical energy can be transmitted to any part of the terrestrial globe." He called this discovery "tele-geodynamics," motion of earth-forces at a distance. It is of this, he said, that it would "appear almost preposterous." The apparatus, he added, is "ideally simple," consisting of a stationary part and a cylinder of fine steel "floating" in air. He has found means, he said, of "impressing upon the floating part powerful impulses which react on the stationary part, and through the latter to transmit energy through the earth." To do this he has "found a new amplifier for a known type of energy," and the "purpose is to produce impulses through the earth and then pick them up whenever needed." Personally I had to do a double take there. This is the mechanical version of his electrical wireless power technology. Tesla often had mechanical equivalent's to his electrical apparatuses. It seemed that if he had issues getting something to work electrically he would try it out mechanically. And thus he was a master of two fields simultaneously. When it comes to creative intelligence, there is something to be said for using a cross disciplinary approach to solving problems. Tesla was a fusion of electrical AND mechanical engineering. The fundamental principles of nature he was utilizing worked in both realms equally well. Although I think sometimes it is easier to conceptualize something mechanically, rather than on relying on near invisible dielectric and magnetic lines of force. Tesla had a mechanical system of wireless power and communications transfer requiring tuning utilizing standing waves with receivers and replete with generator hook ups. "The principle employed is called “Amplitude Modulation Additive Synthesis” by the music industry engineers. We have included a full chapter on the vibration physics to explain what happens and how. With a few simple formulas and a few basic concepts the writers propose to show why certain resonance effects concerning this type of apparatus go on ever increasing in amplitude"
Walter Baumgartner (RIP) created an incredible synthesis of the works of Tesla, Walter Russel, Keely and Viktor Schauberger. Later on he applied a lot of this knowledge to electricity and magnetism. I may post more on this later. Last edited by Gestalt; 04-26-2012 at 06:55 AM. This is probably going to go over most heads here but I ask that those who do follow and understand this to take a moment and think about it. Snells Law, I was thinking about the relationship of electron waves and incident angles and potential charges on the inter turn capacitance to optic waves of photons. the N factor is based on the speed of light divided by the speed of light in the denser medium. In this case it's a bit backwords but none the less it applies, although in electrostatic optics it's the charge of the field and kinetic moment that determines the angle for a particle electron, it can be modified to a wave field as well. There has to be a relationship between the wire spacing, turns etc for capacitance and a 'phase' shift and that is where impedance arises from. from some quick back of the envelope calcs it would seem that the critical angle for complete reflection is 100 degrees, although I question this as a sin theta greater than 1 makes no sense. If we were starting from the extra coil then slowing to secondary it would give a theta less than 1. otherwise it gets into hyperbolic trig again. I could be waaaaay out in left field here, but the i+j rotation has to be somewhere, and the N factor of optics in plasma physics fits to me, filtering out relativistic terms and modifying the equations needs to be done to see what the result is. For those not aware, there is an interesting effect with reflected waves where at just above the critical angle there is no longer two waves refracted and reflected, a prism is a simple and prime example, the 45* angle reflects the light in whats called total reflection i.e. a 100% efficient no loss on reflection and no refraction. which means I could theoretically build a trap that endlessly reflects the waves with no losses. just a thought I had last night. need to dig into the high energy texts I have to see what I can come up with. Any chance of getting an excel calculator to do that? Tesla mentions using length after length of iron. I understand where 'Mad' is coming from with the skin effect and outer layer oxidizing but what was Tesla thinking when he used iron? Am I missing something, like he filled the pipe with molten copper or ran rods of copper down the pipe after he hit depth? This particular blog continues to be a fantastic educational experience for me. Dollard is brilliant....I am in no position to judge whether he is a genius or not. There are some really smart guys on this thing and I appreciate the sharing. I came into this interest more than 20 years ago and it was only recently rekindled from watching a utube video of a Stan Deyo lecture. Deyo was talking about John Trumps work with the attractive power of metal plates at changing voltages in a vacuum. The light went on for me. It seemed that with a properly designed setup, an experimenter could pull energy directly from the vacuum using high voltage plus some sort of capacitive set up. the equations that scientists use for doing this stuff applies to any and all spaces. Suddenly this whole field seems fraught with complications. What prompted me to write was Madhatters comment on Snells law of refraction and reflection. I think there is something there but its only an intuition. Keep digging... keep talking... this is a good project. And I hope Mr. Dollard comes back again. Not really, I did do a calc using alot of equations for inductance and capacitance and integrated the field it's reaaaly close for a single coil, but not effective for mutual inductance at a specific frequency. the MIT field solver handles this faster and better then me slogging thru it. It's leap yrs ahead of spice and other quick field solvers, it also I think better applies here as I'm adapting a quantum field solver for semi conductor electronics. Which does not make sense to me. I am starting to make the primary capacitor and this would help with the active volume match. Also does anyone have any new information on this skindepth equation? I had to dig thru and figure that one out. There is a 'fits all' eq for active cross section. Sigma= 0.066/sqrt of F. this is for metric units. Imperial units is 2.6 x 10^3/sqrt F.
This is different from the depth of current at 37%. So where does the 24.5 come from in Eric's formula? That is a BIG difference, 25.4 vs. 0.066 over the sqrt of F.
I can only assume it was a conversion from inch to mm. The problem with skin effect is that it is not linear across the frequencies, it varies at either end of the spectrum so a one size fits all equation is not possible. the equation used is based on the frequency. also some equations are the ratio, some the depth, some the cross section in circular mills, and one for depth at a percentage of the current. I can dig up further reference material if needed. Looking at some of the available information on the INTERNET, I found the following that will hopefully allow us to come to a consensus on what equation to use for Skin Depth (SD) calculations. 1. daycounter.com - It defines SD as the distance below the surface of a conductor where the current density has fallen to 1/e or ~ 37% of its value at the surface. 2. enotes.com/topic/Skin_effect - Just a historic note that Horace Lamb was the first to describe the Skin Effect in 1883. In 1885 it was Oliver Heaviside who generalized it to conductors of any shape. According to this website, over 98% of current will flow within a layer of 4 times the SD from the surface. 6.6/SQRT of F, all in cm. So if we multiply this with the recommended 4 times as indicated in paragraph 2. above we get 26.4/SQRT of F. this number is very close to Eric's number of 25.4.
either 50.8 (actually rounded to 51 by Eric), 52.8 or 61.56 times the 1/SQRT of F (cm). The difference compared to Eric's value is 3.5% or 21.1% greater diameter. For the maximum solid conductor diameter calculation I would suggest to continue to use Eric's number of 51/SQRT of F (cm). Any comments? So for a hollow conductor the maximum wall thickness would be 2(SD) times 4 or 5? Otherwise not all the copper would be active? Or the current depth CD equation that Eric gave. Last edited by jake; 05-05-2012 at 04:48 PM. For a conductor, where the current density has fallen to ~ 37% of the value at the surface, the Skin Depth (SD) in the radial direction is just SD as calculated. If we want the current density to fall to just 2% of the value at the surface, then we multiply the calculated SD by 4. So on the radius we have 4SD thickness and that is 8SD on the diameter. I don't see the point of going toward hollow conductor in our experiments. HF and VHF application I can see the benefit of using less metal and also be able the use the hollow conductor to circulate some sort of coolant. I think Eric's SD of 25.1 came from multiplying a basic SD of 6 point something by 4, so in this case the maximum solid conductor diameter will be 50.2/SQRT of F (cm), or if you divide this value by 2.54, then in inches, F is in Cps. I also found an interesting website discussing coaxial cables. You can Google it. I will omit the www because it seem to mess up my reply so the rest of it is "tumblr.com/tagged/how-do-coaxial- cables-work". I would be interested in your opinion especially as it applies if we use a flat coil of coaxial cable. Although, we would not use the center conductor, but it is in most cases copper and silver plated steel like in the RG316. I wonder if the field around the outer braded shielding would have some interaction with the core? The use of a counduting tube in the secondary provides a couple of features. It minimizes the amount of spacing between turns in a large coil. It increases the amount of copper available to current for a given length of wire. Coaxial serves as the tube. Awesome, I understand perfectly clear now. Yes, it will have some interaction with the core. What?? I don't know. Extra thanks on the skin depth/current information. Just a quick introduction of myself, as I have never posted here before (I don't want to introduce myself in the introduction thread, as I am only interested in this part of the forum). I am pretty new in the field of tesla experiments. I am an engineering student with about a year and a half left on my studies. I consider myself open minded, while at the same time trying not to fall into naivety (in other words, you may at some point perceive me as a sceptic, but I am not, at least not a blind one). Experimentalism as a "mental state" has been with me all my life, although the money hasn't, at least not until recently. If I would succeed in contributing with something of value regarding tesla technology, my one and only plan is to share it with as many as possible, as soon as possible, and as anonymous as possible. To make this introduction somewhat complete, and to avoid possible future speculations regarding my religious views, it could be mentioned that I'm a practicing catholic. I've been reading about Tesla Coils for about a month. The more I read, the more convinced I get that there is too much in this for it to be an absolute scam/fake. However, so far I've failed in finding some kind of "complete guide" regarding the construction of a Tesla Coil, at least the one that is claimed to produce longitudinal magneto-dielectric waves (scalar waves if you like). As I recently - believe it or not - not only received a genuine interest for the scalar waves concept from one of my teachers, but also got offered a lab room in the school, I have to know how to build a Tesla Coil, a working one. To make things even more great, I will probably be able to write my thesis on this subject. That in turn limits me kind of in time (I understand this is a BIG subject), so any "shortcuts" would be appreciated (so that I don't have to reinvent the wheel 10 times). Further, as this is a probable thesis subject, I have to do it in a scientific way, in other words, I have to do measurements that prove the existence of scalar waves, or some other "not established" phenomenon. So again, tips on how to setup measurements to detect scalar waves (and exclude the possibility of simple ionizing effects) would be greatly appreciated! Shortly put: I would be very grateful if somebody could either link to, or write a "status report" about tesla coil experiments and their currently known results. How many experimenting paths are there (as far as I can see: energy production and energy transmission are two). What do we know about successful constructions? What problems are left to be solved? And so on. Also, as I haven't finished my studies yet, I would appreciate if somebody could tell my what areas to prioritize while choosing courses, in order to understand the tesla experiments better. Not asking for very much. Thanks for the entry. There are some very smart and experienced posters here. I am curious as to what you receive in the way of a reply. I know that Eric Dollard himself has generously shared much of his vast experience and insight in this forum. I personally have no engineering experience. Wish I did. I envy your forturne. Good luck.